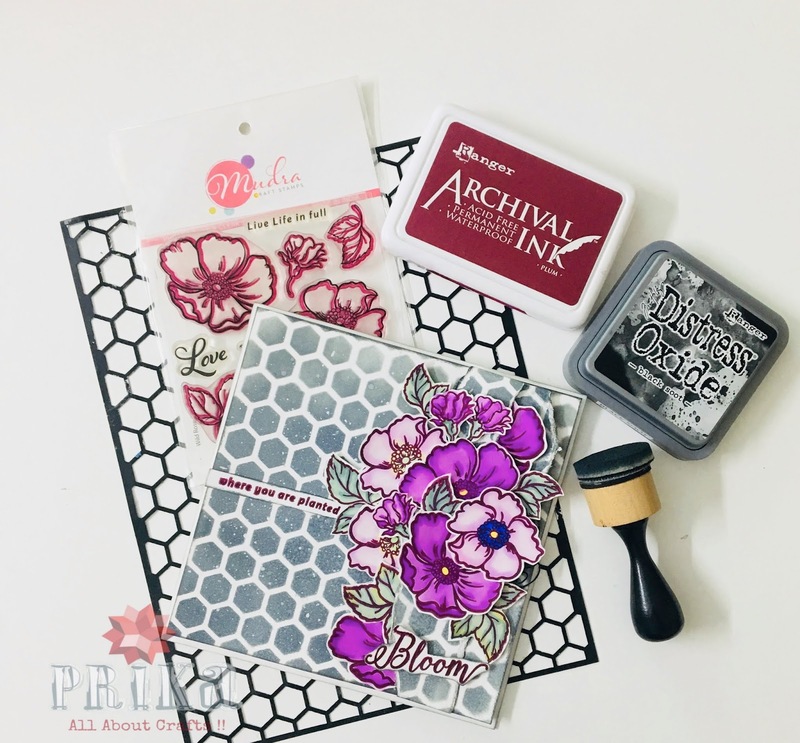 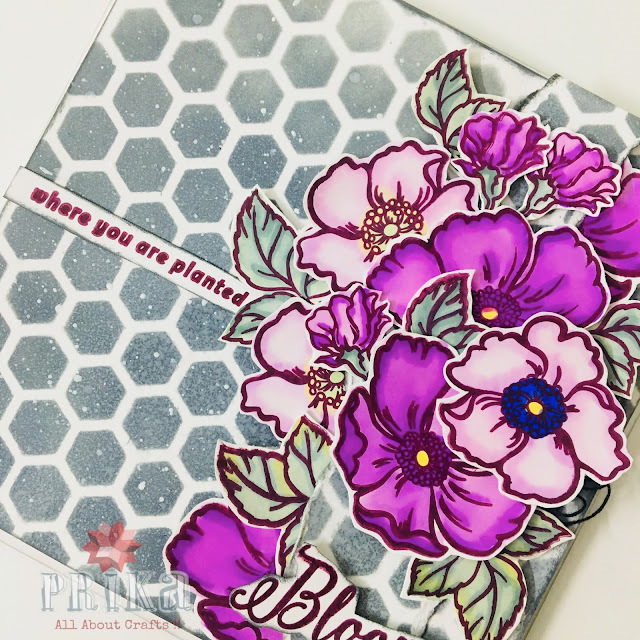 Let's make this Saturday a little more fun creating these Stamped Cards. 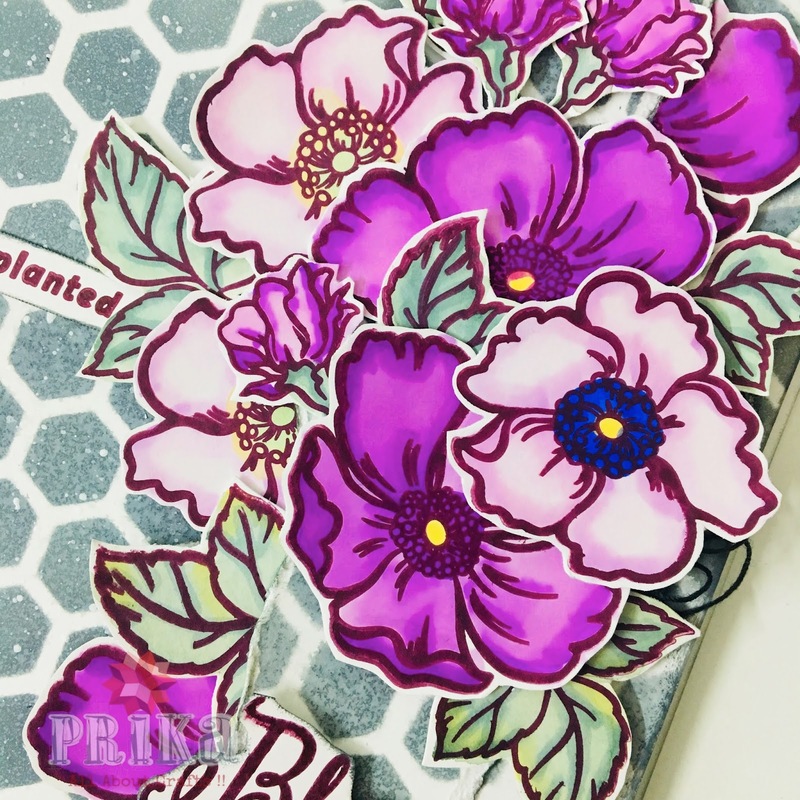 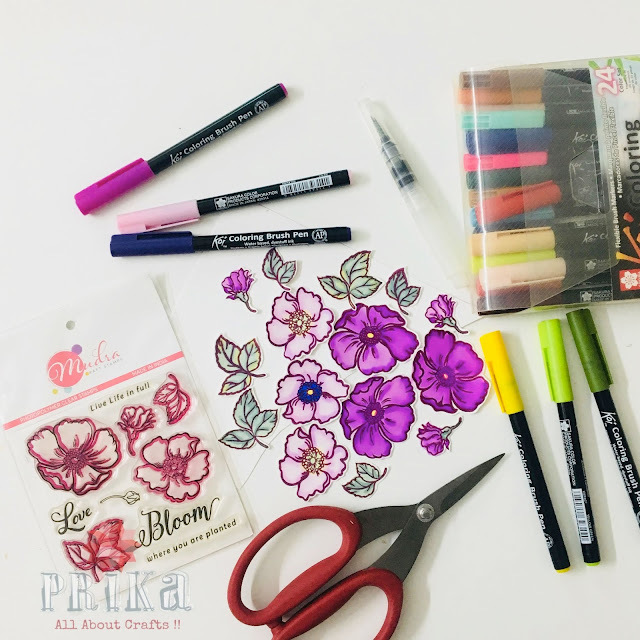 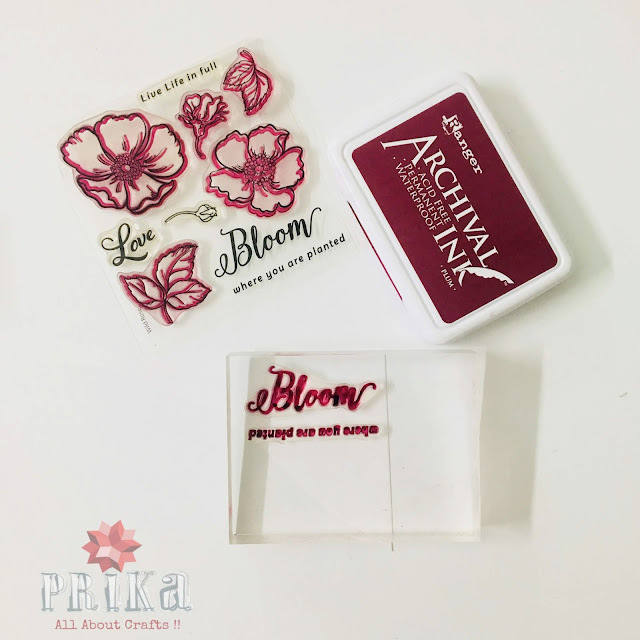 We have got a quick step by step tutorial for u...where you can try your hands on doing some watercoloring, stencilling and 3D floral placement. Let's being wit list of supplies you will need for creating this card. # Mudra Stamp Set "Wild Rose"
Step.2: Further colour them using Koi water colour brush pens and fussy cut them as below. 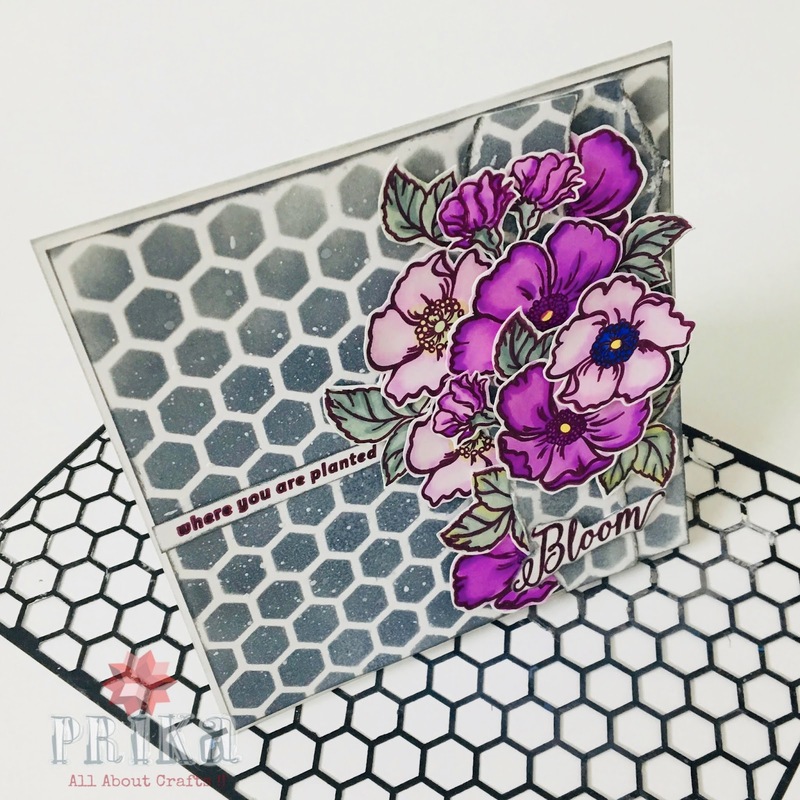 Step.3: For 6*6 " card we will take another piece of card stock measuring 5 3/4" * 5 3/4 " and create a background as below image by using the honeycomb stencil and black soot archival ink. Also take another piece to place below floral arrangements. 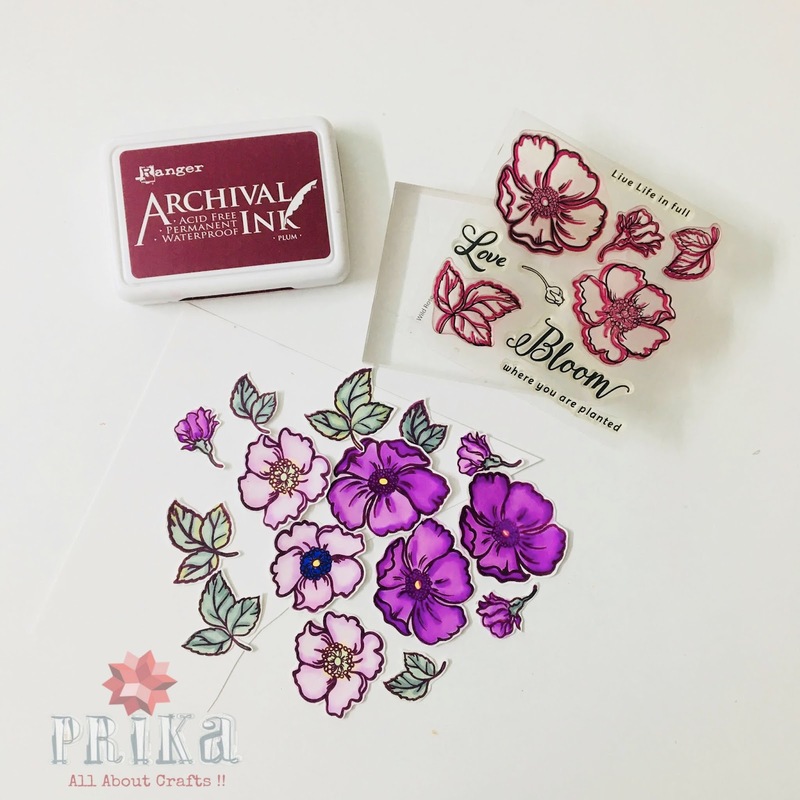 Step.4: Also Stamp the sentiments you wish to place on the card using the same archival ink. Step.5: Arrange all the flowers/ leaves and sentiments over the card layout to complete the card. 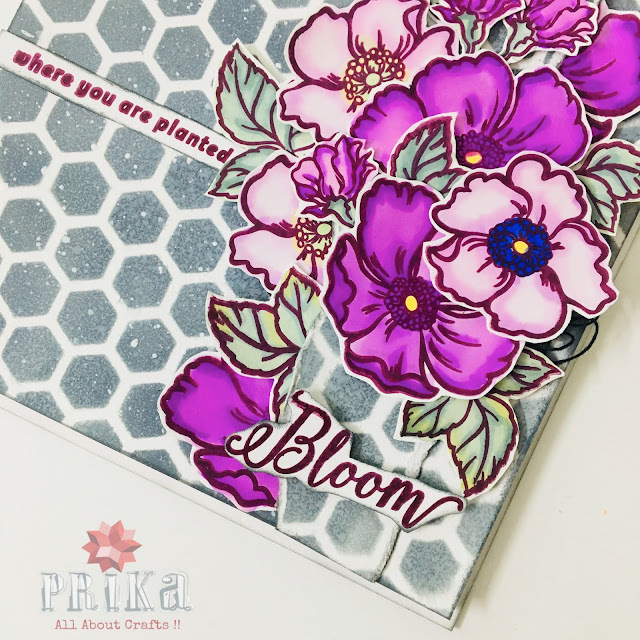 And here is our ready card to be gifted to our friends and family.